A sound installation, a star-struck brush with Waterloo Road‘s lead man and a seat on the BBC Breakfast sofa were some of the highlights of a field trip to MediaCityUK yesterday. 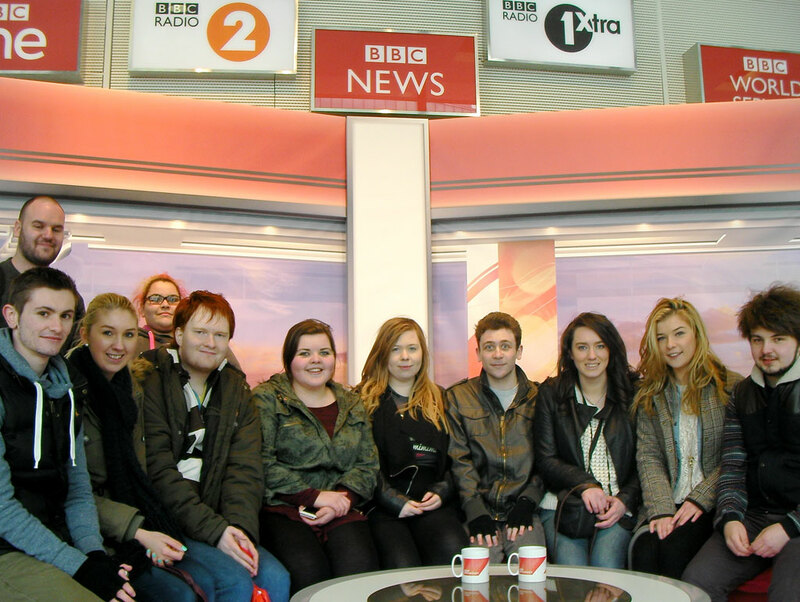 Second-year undergraduates on the Broadcasting and Journalism BA spend the day exploring the Salford Quays site, visiting BBC North and Salford University, as part of the Media Business module. They gathered multimedia content, vox pops interviews and insight into the MediaCityUK development for assessed presentations after Easter. Story angles, developed in advance of the visit, ranged from sustainability in media organisations to the impact of the BBC move from London on local employment. Students questioned local experts about job and freelance opportunities for recent graduates at the expanding MediaCityUK complex. He indicated their courses are now increasingly embracing online journalism as the essential skill for next-generation journalists. Margaret Burgin, Outreach Manager for BBC North, explained that, while all work experience opportunities are advertised on the BBC Careers website, strong applicants will always shine through. BBC North currently operates an apprenticeship programme for residents of Greater Manchester and paid work experience under its ambassador programme.